Is that time of the year, NYFW has come our way once again. I love New York fashion week it just feels so much more like home. Don’t get me wrong I’m amused by all of the designer houses and how amazing fashion is but being an American there’s something so much fonder when you see your peers persevere in a world so difficult and competitive. I seek brands that give me that Oh-la-la but I also love those designs that make you feel comfortable and give you a sense of belonging and familiarity. One of the brands that can describe that with more than a couple of sentences is Lacoste. Last Saturday they unveiled the Autumn/Winter 2014 collection returning to they’re roots and showing off a more sporty collection concentrating on a more monochromatic and simple style. I absolutely love the classic look they achieved with this new collection. The show was star-studded with celebrities all over the place looking forward to see what the brand would bring. 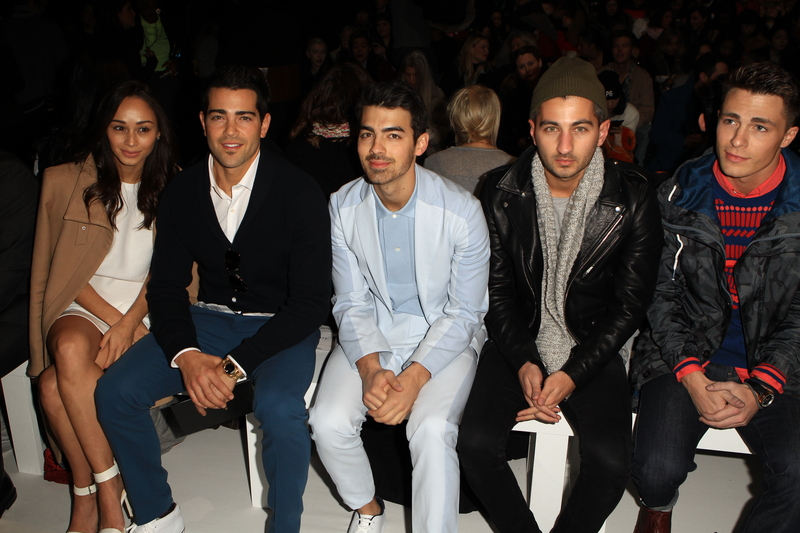 From Joe Jonas to heartthrob Jesse Metcalf dressed in head to toe Lacoste. Bella Thorne was also there looking glamorous in a neutral crop top and pencil skirt. With guests and fashion that kills like that who wouldn’t want to have a front row sit at a show like this? Moreover, let’s talk street fashion. This time of year the trends are on the runways and out on the streets. Spotted, street style gurus rocking Lacoste during NYFW. It feels perfect to say that Lacoste footwear run the streets of NYFW. Here are a couple of pictures of how some very stylish peeps hit the pavement in style. Either preppy or with a more classic ensemble they all manage to complete a perfect outfit with a cherry on top (Lacoste). How would you wear them?